Rodents are a huge problem for farmers! Barns lend themselves to infestations. They are filled with food and offer easy access for mice find to shelter within the barn. Farmers are always looking for safe and reliable ways to tackle this problem. 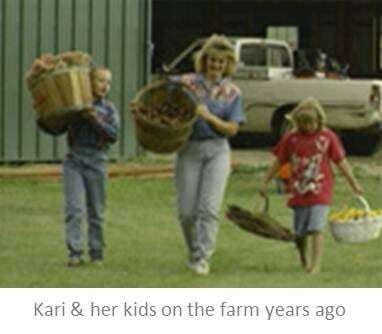 One organic farmer’s wife, Kari Warberg Block, knew there had to be a better way than traditional poisons and traps to keep her farm and home mouse-free. 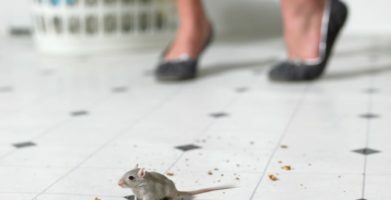 Researching natural ways to repel mice without chemicals and traps, she soon discovered a combination of plant oils that create an aroma rodents can’t stand. Soaking plant fiber in this blend of essential oils carried the scent in an easy-to-use way. She created a product that would ward off mice effectively in barns, homes, sheds, RVs, trailers, and just about any other enclosed space. That product is Fresh Cab. Now farmers across the nation are using the rodent deterrent to keep their farms infestation-free, without killing any mice or exposing their family and animals to potential dangers. Fresh Cab is an EPA-registered plant-based rodent repellent that works by emitting an odor that keeps mice and rats away. To use it, you simply place a pouch of the product in the area where you want to fight rodents. It does all of the work for you. Protecting your family is your first priority. Rest assured that Fresh Cab is completely safe, both for your family and the environment. Every step of the manufacturing process has been carefully researched so that it is as lean as possible. This is a truly green product. 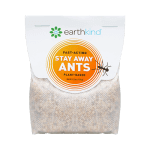 Because it contains 98 percent bio-based ingredients, it poses no known risk to humans or animals. All ingredients in the product are chosen off of the Generally Recognized as Safe (GRAS) list. You can have confidence that your family is protected from any potential hazards. Fresh Cab has proven its effectiveness in multiple labs and consumer tests. 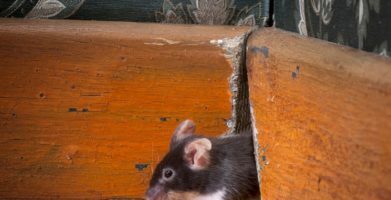 The scent blocks a rodent’s natural ability to navigate, find food, and detect danger, making them look for a new home almost instantly. Fresh Cab has been evaluated and registered by the Federal EPA safely and effectively repel rodents, making it the best choice for people interested in repelling mice in an environmentally safe way. One organic farmer's wife, Kari Warberg Block, knew there had to be a better way than traditional poisons and traps to keep her farm and home mouse-free. Researching natural ways to repel mice without chemicals and traps, she soon discovered a combination of plant oils that create an aroma rodents can’t stand. 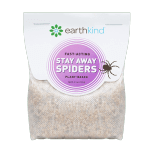 Soaking plant fiber in this blend of essential oils carried the scent in an easy-to-use way. She created a product that would ward off mice effectively in barns, homes, sheds, RVs, trailers, and just about any other enclosed space. Fresh Cab is an EPA-registered plant-based rodent repellent that works by emitting an odor that keeps mice and rats away. To use it, you simply place a pouch of the product in the area where you want to fight rodents. It does all of the work for you. This is a truly green product. 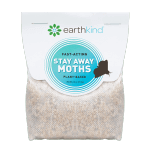 Because it contains 98 percent bio-based ingredients, it poses no known risk to humans or animals. All ingredients in the product are chosen off of the Generally Recognized as Safe (GRAS) list. You can have confidence that your family is protected from any potential hazards. string(54) "Repel Mice with This Little Known Farmer Wife's Secret"